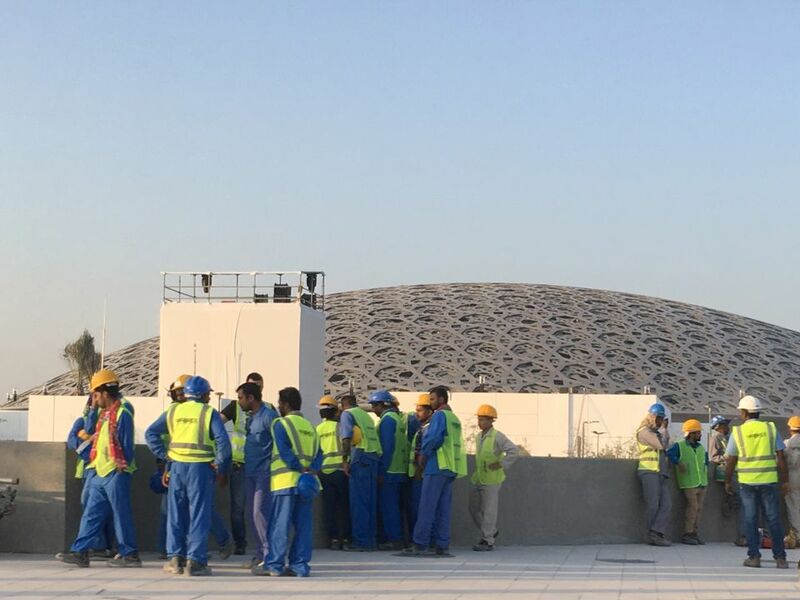 Two journalists reporting on the opening of the Louvre Abu Dhabi were held for more than 50 hours without access to the outside world and interrogated by the authorities for lengthy periods, according to their employer, the Swiss broadcaster RTS. Journalist Serge Enderlin and cameraman Jon Bjorgvinsson were detained last Thursday after taking pictures at an open-air market in Abu Dhabi. Enderlin told Al Jazeera the pair were questioned over their coverage of migrant workers. “All we wanted to do was put the opening of the Louvre in a wider context–as a flip-side to the glitz of the museum we wanted to show the migrant workers who actually built it,” he said. Both journalists were fully accredited for the museum opening and had scheduled an interview with Jean Nouvel, the French architect who designed the Louvre Abu Dhabi. Enderlin and Bjorgvinsson were blindfolded while being transported to seperate facilities and their camera, computers, storage disks and other equipment were confiscated, according to RTS. They were each subjected to interrogations lasting up to ten hours. Enderlin told Al Jazeera he was “blackmailed” into handing over the codes to his phone after 25 hours of detention. Both journalists had to sign a confession in order to be released, but the documents were in Arabic. “We presumed that what we signed for was just a summary of what we had been saying during our interrogation. The officers were particularly interested in previous reporting trips I've made to Qatar in 2002 and 2003,” he said. The pair were released on Saturday night and allowed to return to Zurich, but the UAE authorities retained most of their equipment and belongings. Speaking out on Twitter, Pascal Crittin, the director general of RTS, condemned “the violation of press freedom to which our journalists were subjected in Abu Dhabi”.